Today Google released Picasa 3.5, an updated version of its free photo editing software. With Picasa you can edit and organize your images, and sync and share them with Picasa Web Albums, Google's online photo-sharing site. The most notable addition in this release is an enhanced version of Picasa's people-tagging feature, previously only available in Picasa Web Albums. Other improvements include Google Maps integration for faster and easier geotagging, a smarter keyword-tagging interface, and more importing options. When you first launch Picasa 3.5, it scans all of the images on your computer and groups similar faces. You can then go through and add name tags one at a time or in bulk. If you already use name tags in your Picasa Web Albums, you can log into your Google account and download that information to the Picasa application (Tools-> Download Name Tags from Picasa Web Albums). Logging in also means you can use your Google contacts list when tagging people. 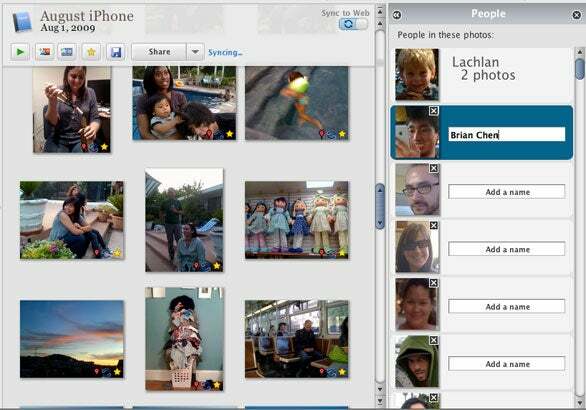 Picasa will automatically create an album for each person you tag. Geotagging is much easier in 3.5. 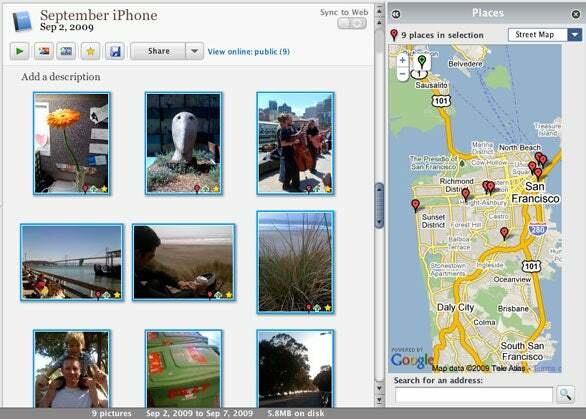 In the Places panel, a Google map displays the locations of your geotagged photos. To add location information to a photos, you can search directly in the panel and add a pin, or drag and drop an image or images onto the map from your library. Picasa's import features have also been greatly improved. It's now possible to upload images directly to Picasa Web Albums from your camera, iPhone, or memory card. Before importing you can choose which images to include or exclude. For example, you could opt to upload all of the images to your hard drive, but only starred images to the Web. This update is for both Mac and PCs, and is the first Mac version of Picasa to drop the beta label.